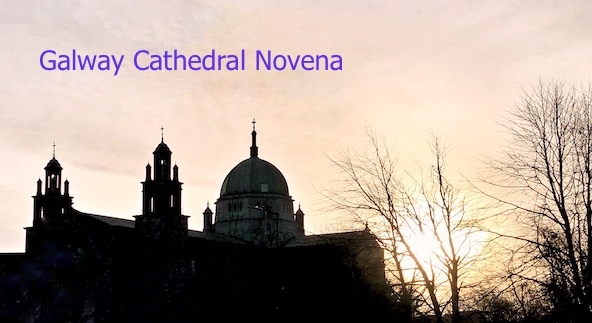 Galway Cathedral at Dawn: photo Seamus Devitt C.Ss.R. 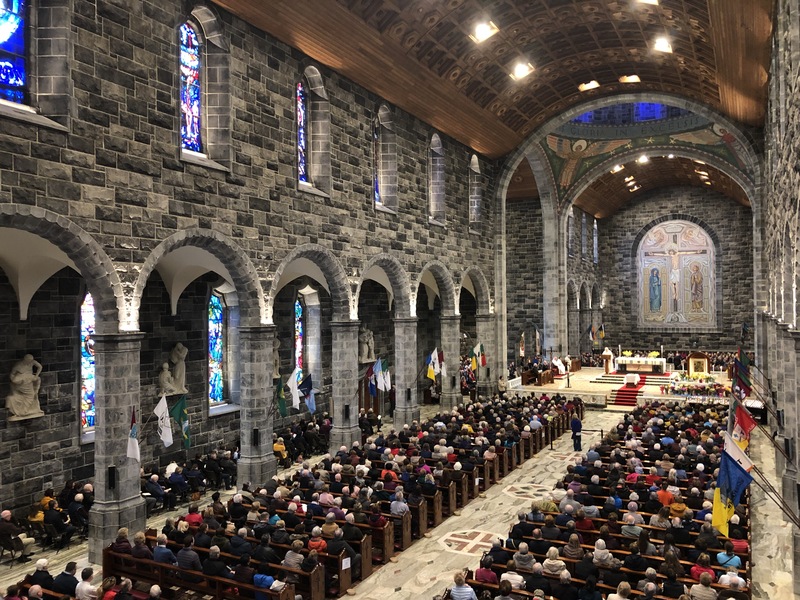 The annual Galway Cathedral Novena to the Mother of Perpetual Help – or Our Galway Festival of Faith – began on Monday February 18th and concluded on Tuesday February 26th inclusive. The number who attended each day, at one or other of the six sessions, was astonishing. It was a great witness of solidarity and faith together. Thanks to all who came and to all who made it happen. The dates for next year, 2020, are from February 17th to 25th. 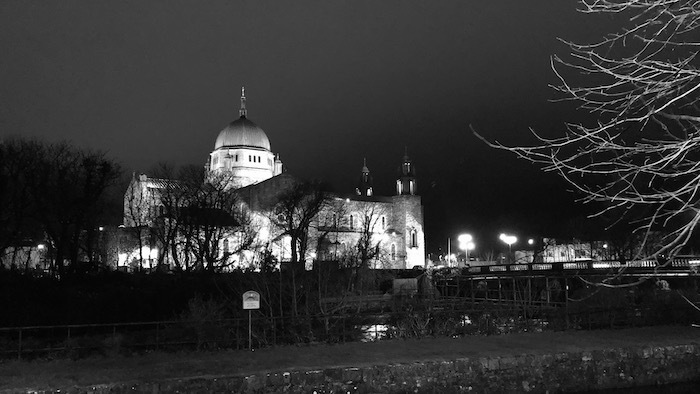 Galway Cathedral, across the Corrib River: Photo: Seamus Devitt C.Ss.R. 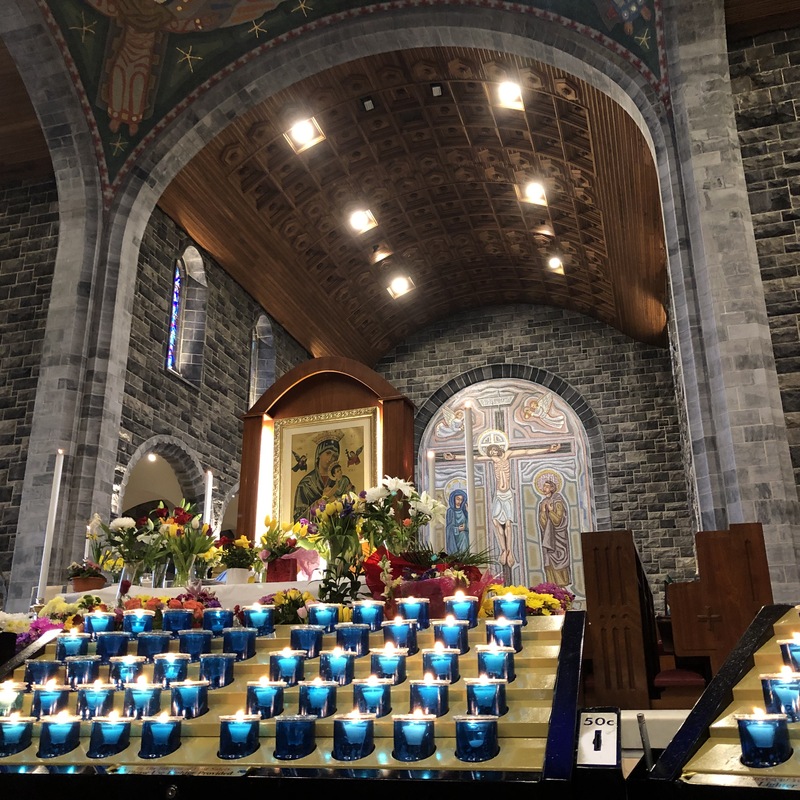 Novena Shrine to the Mother of Perpetual Help, Galway Cathedral: Photo - Seamus Devitt C.Ss.R. 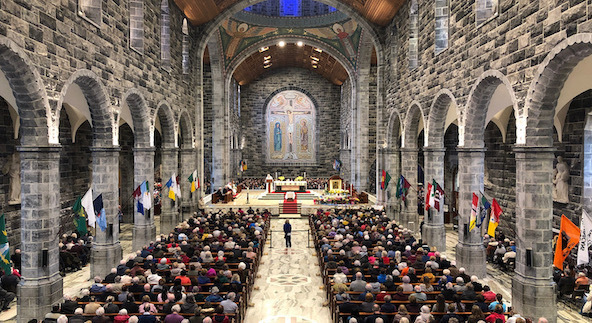 Galway Cathedral: Gathered for one of the six sessions of the Novena: Photo - Seamus Devitt C.Ss.R. Weekdays: 7.30am, 11.00am and 1.10pm. 3.30pm, 7.30pm, and 9pm. Sunday: 9.00am, 10.30am, 12.30pm 4.30pm, 6.30pm, 8pm. Sacrament of Reconciliation: Thursday, 21st February: three sessions (NOTE THE CHANGE, THIS YEAR): 7.30m, 1.10pm, 9pm: MASS at 11am, 3.30pm, and 7.30pm, with confessions before and after. Mass with Anointing of Sick: Saturday 23rd February at 11am. Blessing of Babies and Children: Sunday 24th February after all sessions. Candle-light Prayer before the Blessed Sacrament: Wednesday 20th February at 10pm, Monday 25th Feb. at 10pm. A Novena means Nine Days, after the nine days that the Apostles and other disciples, men and women, spent in prayer in the Upper Room, ‘together with Mary the Mother of Jesus and other women’, waiting for the promised outpouring of the Holy Spirit. It is for us a time of reflecting on the Word of God, treasuring these things in our hearts, and pondering them, – as Mary herself did, all her life. It is a festival for us, a celebration together, of our Christian faith in the Risen Lord among us all days. It is a festival also in honour of Mary, the Mother of Perpetual Help – always ready to run to our aid. It is a joy to be gathered together in song, in stillness, in prayer, in petition and thanksgiving for all the concerns of our lives, individually and with others. Please tell your friends! Maybe even offer a lift to the Cathedral to someone who needs it. 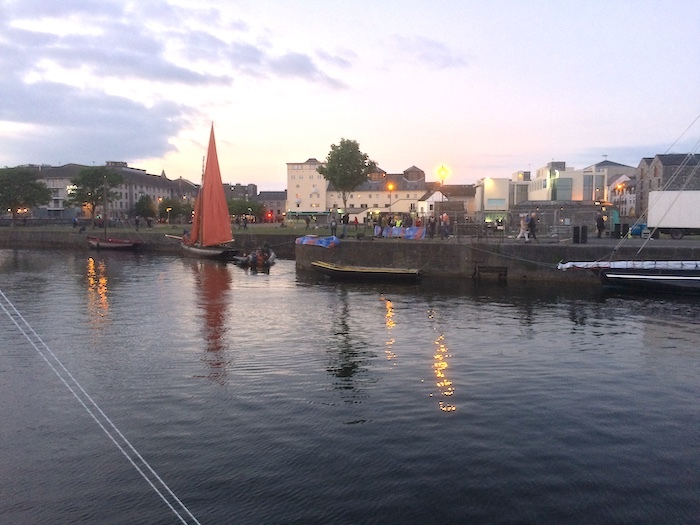 Galway beckons! The Lord and his Mother beckon, as well. Time to come home! 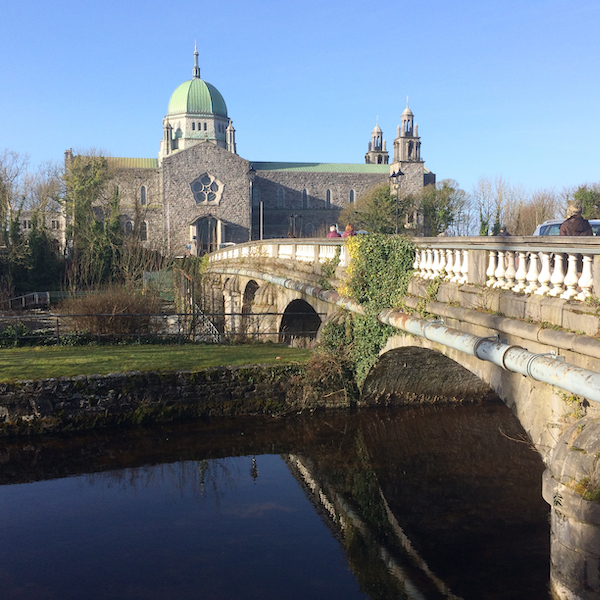 Galway Cathedral across the Salmon Weir Bridge: photo Seamus Devitt C.Ss.R. Fr. Tony Rice, C.Ss.R. : Fr. Tony hails from Belfast city where most of his family still live. He joined the Redemptorists in 2001 and was ordained in 2009. Tony currently is our Vocations Director, has responsibility for Redemptorist Students and also works as a psychotherapist. To relax, Tony enjoys watching the lates movies, having meals with friends and catching up on sleep! Fr. Denis Luddy, C.Ss.R. : Fr. Denis joined the Redemptorists in 1982 and was ordained in 1991. Apart from two years in the Philippine Islands, Denis has spent his life giving parish missions, novenas and school retreats. A native of Co. Cork, he has had assignments in our Redemptorist Communities in Limerick, Dundalk, and Esker. Denis is a highly regarded preacher! Neil Foley: Neil lives near Wexford Town in the Diocese of Ferns where he is involved in several prayer and music ministries. His latest collaborations are on the Hook of Faith digital evangelisation project and with the Mustard Seeds contemporary worship group. He is married to Helen, he works as an environmental scientist, and has a Certificate in Pastoral Theology. Neil works frequently with our Redemptorist Parish Mission teams.